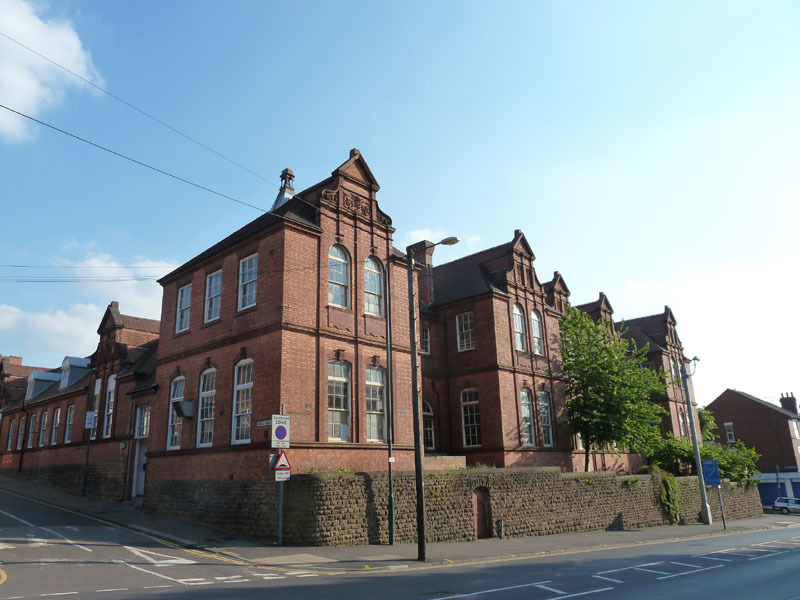 I have been part of three studios since I returned to Nottingham in 1988, Firstly I joined Carrington Street Studios, secondly Oldknows Studio Group and thirdly Primary. In time I will add further pages dedicated to the studios. Oldknows Studio Group page is now present and one for Primary will be added in due course. 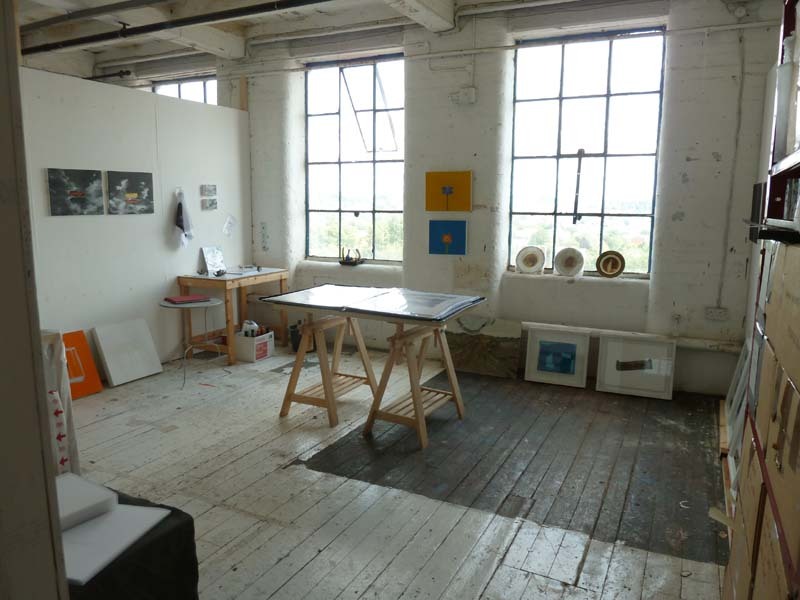 I located to Primary studios in late 2012. 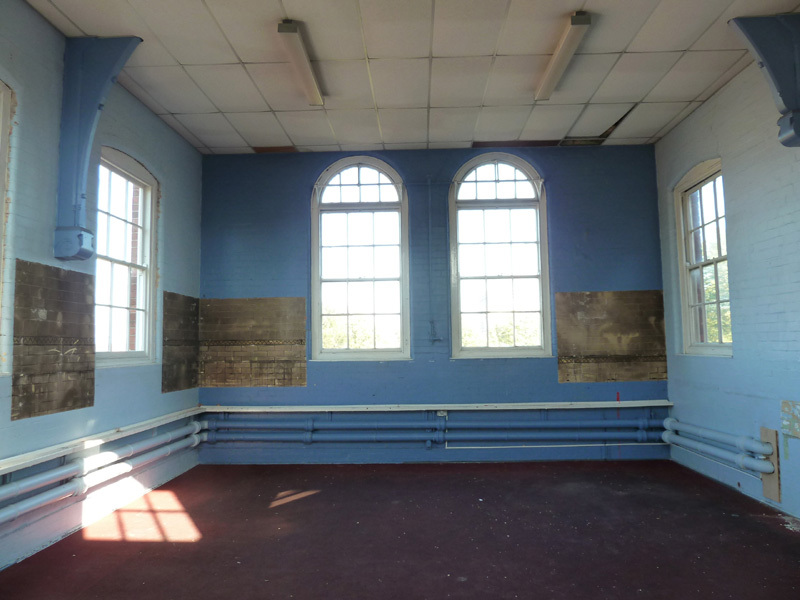 For the first few months I stripped back the paint work to reveal the old Edwardian tiles. I also removed the paint from the heating pipes (before re-painting silver) and also stripped paint from the shelf over the heating pipes and the door. I fixed in some shelving, removed the old carpet and built some storage (Images of the conversion are in the News section...scroll down). 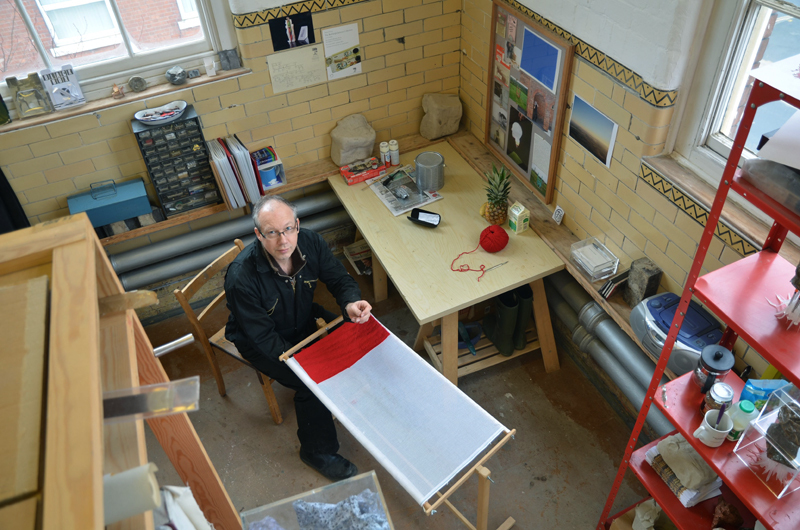 This first set of images of my have been taken from various OSG open studio activities. Additionally there are several images of my space when I was sorting through work. For several years I used to spend the first week of January throwing work away (column 4 reveal something of that process). OSG had formally closed down and the lease was surrendered. The New lease holder, Stone Soup made it compulsory for us all to have smaller units at an increased rent. There was no light or electricity in my space for the year I inhabited it. Fortunately I secured a space at Primary. 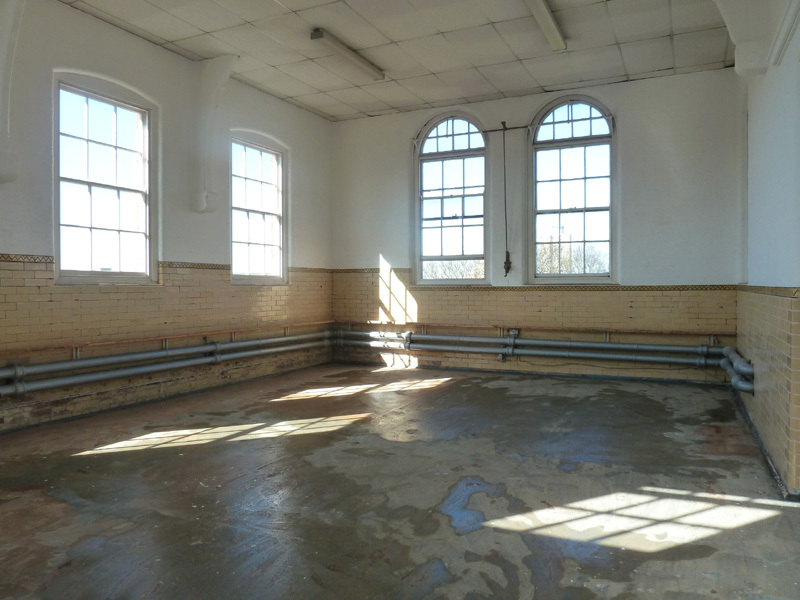 This image presents the space for ‘3 of a Kind’ a selling give-a-way Exhibition. I rented a studio space in Carrington Street Studios in 1988. The studios was located near the train station in Nottingham. My studio had no natural lighting or heating. I kept the studio on for about three years until mid 1992 at which point I gave up both the studio up and the making work for several more years due to ill health. I took on my second studio in 1995 when I joined Oldknows Studio Group. The images below are scans from prints I have found of my time at Sheffield. 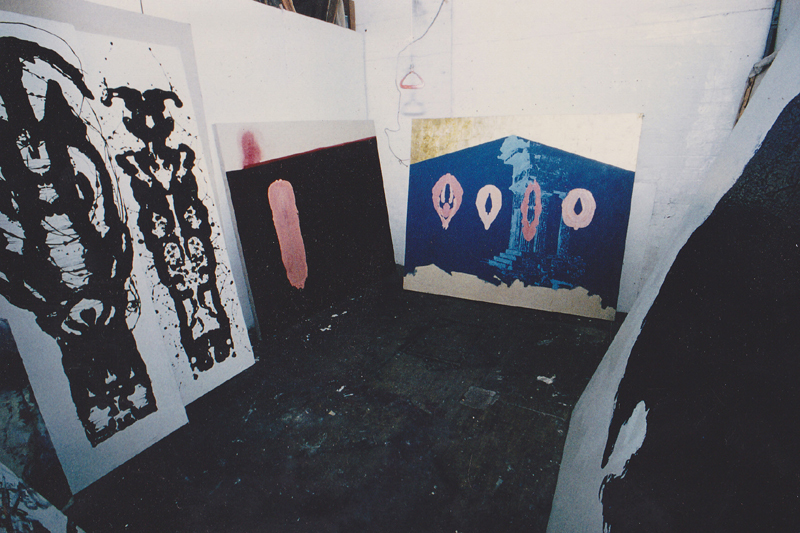 The images are of my studio during the years 1986,1987 and possibly into early 1988. The Image shows some clay extrusions made during my 2nd Year (1986). The image shows some of the clay paintings produced in the first months of my third year (1987).